When defenses align with eight-man fronts and the offense brings the Receiver over, the defense is forced to declare what they are doing. In this situation, the safety cheats over to align on #3. This is the most common way high school teams align versus Over. Triple Right is called… because there is a 3-technique and a playside safety, the Quarterback defaults the play to Midline Lead. –Dr. 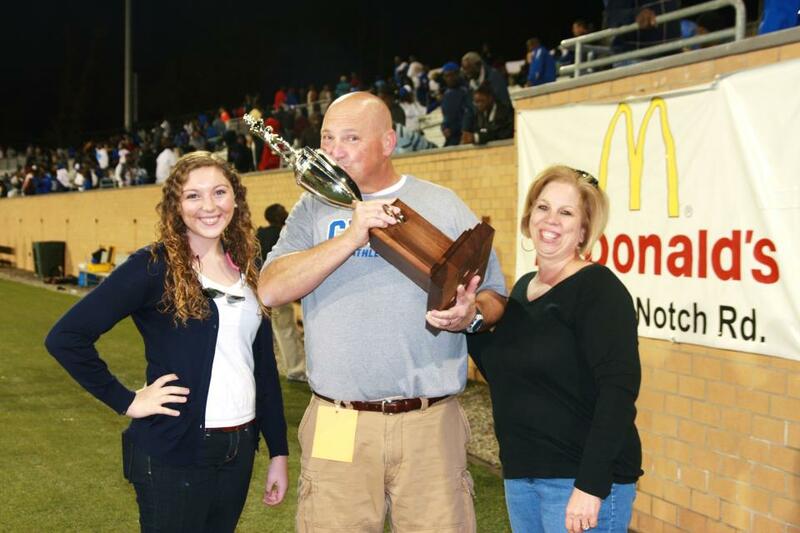 Jimmy Woods, Head Football Coach, Timmonsville High School. Went from 1-9 (2010) to the state semifinals (2011) in one year after their three-day camp with Triple Option Football Academy Owner, Lou Cella. Questions? 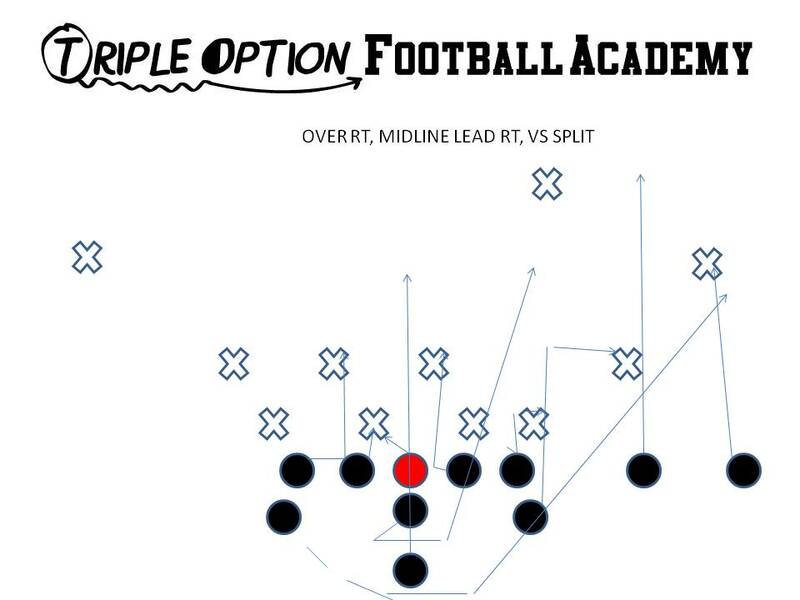 Contact the Triple Option Football Academy at (570) 332-0265. This entry was posted in flexbone, army, navy, offense, playbook, veer and tagged flexbone, formation, MIDLINE, over on October 26, 2013 by Dr. Lou Cella.